Here 3 ideas of how to combine leather and denim this december (for the people who live in the southern hemisphere), like this 2 materials are very IN this season….Tell me which one is your favorite! Love the glasses, they remind me of John Lennon! Muy buenas propuestas! Yo me quedo con la 2da. opción!! Awesome combo dear, love all three of them! Come and check my post whenever you have time! Oh, sunglasses are amazing <3 love the hats, too. el primer y tercer look me encantan!! Pretty cool selections. love it!!!!!!! 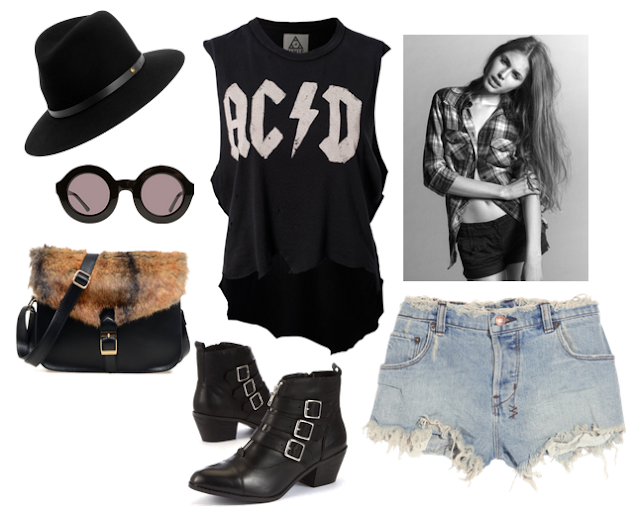 Donde encuentras el polo de ACDC?